The biggest update from the last few weeks is the changes to the 40-man roster, including players protected (or not protected) from the Rule 5 draft. In the most recent episode of the SoxProspects.com Podcast Chris and Ian discuss these decisions, in addition to taking a final look at the Arizona Fall League (AFL) season. The guys also went through the current top 20 prospects and discussed which ones they see as 2019 contributors in Boston and which ones they see as possible trade bait. Michael Chavis, Darwinzon Hernandez, and Travis Lakins were all locks to be protected from the Rule 5 draft so there was no surprise when they were added to the 40-man roster. Denyi Reyes (pictured, above) and Josh Taylor were toss-ups, but the Red Sox decided to protect them as well. 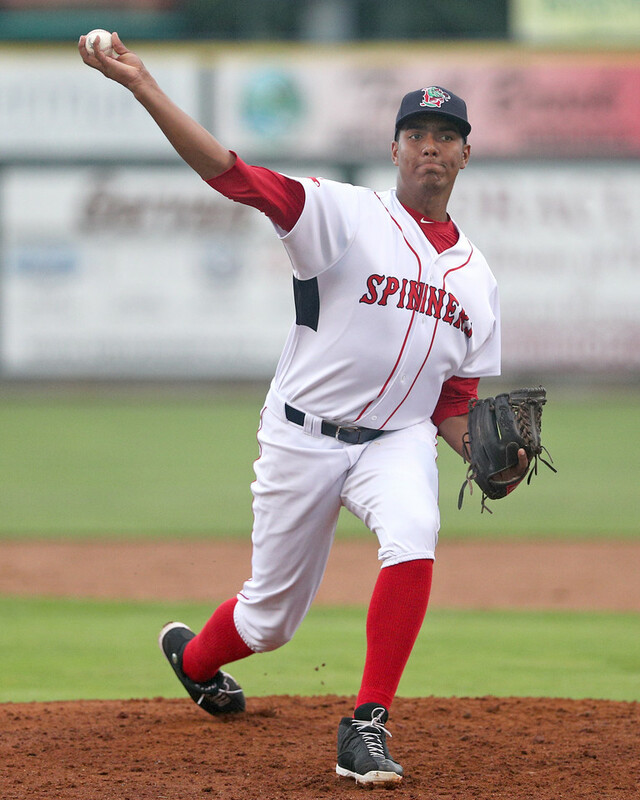 Reyes was the 2018 SoxProspects.com Pitcher of the Year, and Taylor is a left-hander who has a fastball that can hit the upper-90s but has struggled with his control and command. Teams tend to take chances on players like Taylor in the Rule 5 draft and the Red Sox did not want to risk losing him. The key player that was not protected was Josh Ockimey. Ockimey did not do himself any favors in the AFL by hitting .172/.280/.250 with 26 strikeouts in 64 at-bats. Ockimey hit well in Portland for the first few months of the 2018 season, but his performance fell off after a promotion to Pawtucket. Ockimey was once ranked as high as fourth in the system back in 2017, but the Red Sox now risk losing him if a team takes a chance on his impressive raw power. The draft takes place on December 14 at 9 a.m. ET. Other than the Steve Pearce signing, the only other addition to the 40-man roster was the acquisition of Colten Brewer from the Padres in exchange for Esteban Quiroz. Brewer had solid numbers in the hitter-friendly Pacific Coast League last year, striking out 63 over 48 innings while pitching to a 3.75 ERA. He got a cup of coffee with the big league club, striking out 10 over 9 2/3 innings though he also gave up 15 hits. The right-hander has a chance to open the 2019 season in Boston's bullpen, but he also has two options remaining so the Red Sox have some flexibility on where they place him. All Quiroz did in 2018 was hit, following up a .299/.413/.598 line in 87 at-bats in Portland with a .267/.452/.511 line in 45 at-bats in the AFL. Listed generously at 5-foot-7 and profiling best defensively at second base, Quiroz was a bit redundant with Boston's current roster construction. With the Red Sox tendering contracts to all of the remaining players and outrighting Austin Maddox to Pawtucket, the 40-man roster now sits at 39. Tony Renda (pictured, right) was outrighted off the 40-man roster earlier in the offseason but he has since been re-signed to a minor league deal. The Red Sox also signed Juan Centeno and Domingo Tapia to minor league deals and added Railin Perez as an international free agent. Centeno provides solid depth at catcher as he has been in-and-out of the major leagues for the last six years. He spent some time with Alex Cora in Houston in 2017 and last season he appeared in 10 games with the Rangers. Overall his career major league triple slash is .227/.278/.331. Tapia has spent parts of the last two years in Triple-A with the Reds. His best results came last year when he went 4-5 with a 3.43 ERA over 63 innings. The 27-year-old right-hander has good groundball rates but does not miss a lot of bats. Perez is a 17-year-old right-handed pitcher who was signed for an undisclosed amount out of the Dominican Republic. He will join one of the Red Sox clubs in the Dominican Summer League in 2019. The move to sign Centeno was needed after Dan Butler retired. 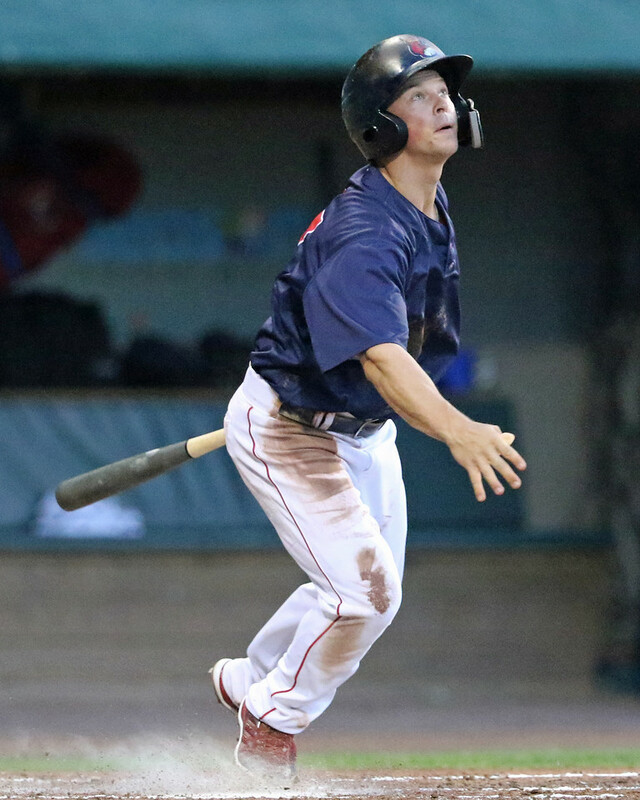 Butler spent nine of his 10 professional seasons in the Red Sox organization, spending parts of the 2014 and 2018 seasons in Boston. The 32-year-old is due to get a World Series ring and he will now join the Arizona Diamondbacks as a bullpen catcher for the 2019 season. Former SoxProspects.com writer Jon Meoli had a great interview with Butler back in 2011 that is worth another read as his playing career comes to an end. Other moves you may have missed around the Thanksgiving holiday were William Cuevas signing with the KT Wiz of the Korean Baseball Futures League, Justin Haley signing with Samsung of the KBO League (South Korea), Josh D. Smith signing with Cleveland on a minor league deal, and Junior Espinoza being released. With the rise of data in baseball, it is interesting to note that Darwinzon Hernandez was identified as a top Statcast performer in the Arizona Fall League. He had one of the top spin rates on both his four-seam fastball and curveball, and the spin rates he showed on both of those pitches would be elite even at the major league level. The only other left-handed pitcher that has velocity and spin rates like that in the majors is Pirates closer Felipe Vazquez.